The UK will not pay a 100bn (85bn) “divorce bill” to leave the EU, Brexit Secretary David Davis has insisted. He told ITV’s Good Morning Britain the UK would pay what was legally due, “not just what the EU wants”. It comes amid claims by the Financial Times that the financial settlement sought by the EU has risen from 60bn. 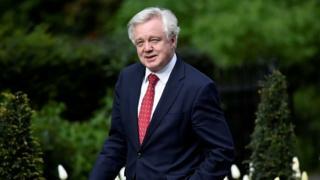 Mr Davis said the UK treated its EU “rights and obligations” seriously but it had “not seen any number”, adding the EU was playing “rough and tough”. 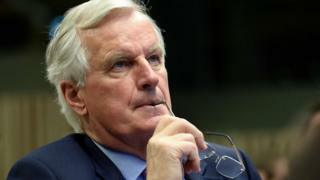 The EU’s chief negotiator Michel Barnier is due to publish his guidelines for the talks later although they are not likely to include any financial demands. Previous calculations had placed the financial settlement likely to be demanded by the EU at between 50 and 60bn euros. The Financial Times, using the same economic model with new data from around Europe, suggests that has now gone up to 100bn euros. There are reports in Brussels that the difference might include demands from countries like France and Poland for UK contributions to farm subsidies. The EU may also be planning to refuse to allow the UK a share of the EU’s assets including buildings and bank deposits. The suggestion that the payment would be made in instalments would not do much to soften the blow from the British perspective, he added. On Tuesday, Mrs May said Mr Juncker would discover that she could be a “bloody difficult woman”. Mr Davis, who was one of ten people present at the dinner, said that it was a “constructive” meeting but there were some differences in key areas, describing newspaper reports of what had happened as “gossip and spin”. Asked whether the atmosphere was hostile, as has been reported, the Brexit secretary replied “absolutely not”. He also said he was confident that he would remain in his current post should the Conservatives be re-elected. Many Conservative MPs argue the UK does not owe the EU anything given the size of the contributions it has made in the past. A recent report by a House of Lords committee argued the UK was not legally obliged to pay a penny.